Many thanks to Hecht Auctions for posting our sale on their website and for providing auction services at our annual consignment auction on Friday, June 11, 2010. Visit their site for information on their auction services. 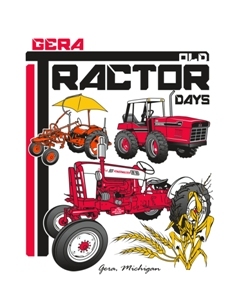 The Gera Old Tractor Days is looking for both vendors and volunteers for our show in June of 2010. Show dates are June 12th and June 13th of 2010. Vendors: Vending space is $25.00. We are looking for craft vendors or other vendors that are complimentary to a tractor show. We strive for high quality vendors selling merchandise that our visitors are interested in. If you are interested in reserving vending space, please send us an email. Volunteers: Do you love antique tractors? Want to get involved with our club? A great way to start out is to get involved with our tractor show. We need volunteers in all areas including, admissions gate, parking, merchandise sales, food sales, vendor management, tractor registration. Pretty much, you name if, we could use your help! If you are interested, please send us an email!